Slipstream specializes in lightweight watercraft. 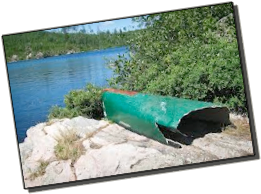 The boats are not fragile, however; lightweight composite boats should not be treated with the same disregard as aluminum, Royalex, ABS or other fiberglass/kevlar boats typically weighing 50 - 80 pounds and more. 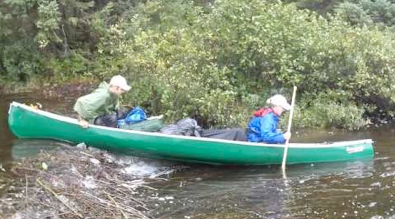 Unlike the individuals in these pictures, the best practice when getting in or out of the canoe is to be sure the boat is floating. Be especially careful to avoid placing the boat on a sharp rock and then stepping into the boat which forces the rock to compress the hull. There are several techniques for safe entry/exit. 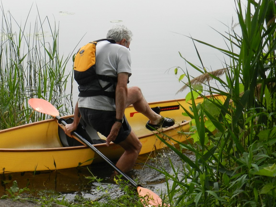 Over the years, we’ve learned much from paddlers with issues regarding knees, hips, back, flexibility and more. Discover methods for entry/exit that create almost no stress on joints and back. Optional removable thwarts (no tools required) have been helpful in providing convenient yet strong and stable bracing points. Hung Style Seats. Let us know about your entry/exit concerns -- we’ll modify to accommodate your needs. 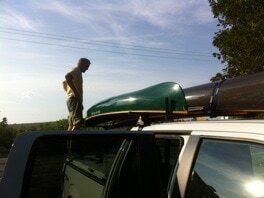 Some paddlers have damaged their boat during the tie-down process. Remember to take steps to prevent wind from blowing your boat off the vehicle before it’s securely tied down. 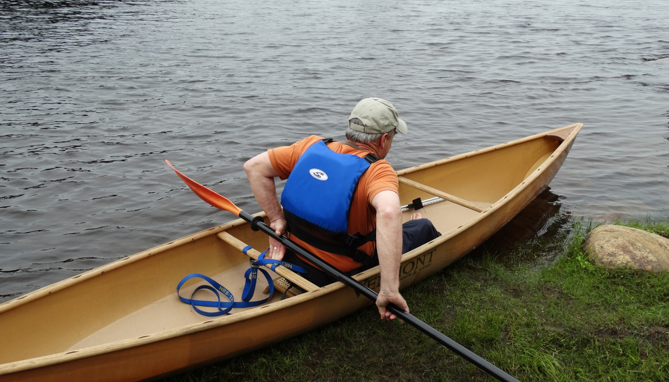 Ultralight boats are vulnerable to flying like kites . . . sometimes off the roof of your car . . . sometimes down the beach and into the lake . . . and sometimes away from shore at the most inconvenient of times. 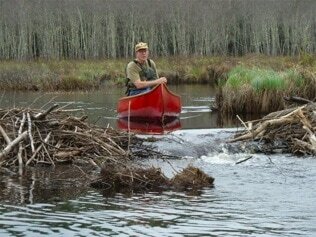 Bridging your canoe can lead to an oops . . . and it may damage your boat. Much wiser to have wet feet than wet head! Slide/walk boat over dams, boulders and other obstacles. However, a breach or chute with adequate depth changes everything . . . go for it! All repairs are unique to the nature of the damage and the type of craft. These will be sent back directly to Slipstream Watercraft for repair. ​Call or email a photo for major repairs and we’ll secure a firm estimate. All sales & repairs are by appointment only.